It’s that time of year again. Time to re-enact the First Thanksgiving. But enough of the Soapbox. Suffice it to say that next Thursday – or Wednesday, if your Dulce works Thanksgiving (say at Grady Hospital) – is a time to give thanks. For every blessing from above. Now, getting back to those Bible readings. The literal swarms of locusts that invaded in successive waves to destroy the crops of Israel spoke of a soon-coming invasion of enemies as well as a future day of judgment. See also Wikipedia. But the book ended with Joel saying Israel would later be vindicated. Psalm 126 begins in a similar vein. With a note of vindication.) To wit: “When the LORD restored the fortunes of Zion, then were we like those who dream.” Verse 6 reads, “Those who sowed with tears will reap with songs of joy.” So in a sense that passage foreshadowed the trials and tribulations of the Pilgrims and their first Thanksgiving, as noted below. Jesus told his followers not to worry about food, because even the lowly birds are provided for by God. In this verse Jesus presents the example of the lilies, who also do no labor. The point is this: As noted in Part II, the men and women who first settled America paid a high price, so that we could enjoy the privilege of stuffing ourselves into a state of stupor. As also noted in Part II, during the worst part of that first harsh winter of 1620-1621, only six or seven surviving colonists were fit enough to feed and care for the rest. Do the best you can, and – after taking all due and sensible precautions – trust God to help you with the rest. Some of those bad things [ – that you worried about – ] might not happen, and some bad things might be prevented with foresight and preparation. Then too, if you’re “on a mission from God,” you might reasonably expect His help. The soap box image is courtesy of thepoliticalpotteries.com/2015/05/31/tony-walley-on-my-stoke-on-trent-soapbox. The image was included in a blog-post from THE POLITICAL POTTERIES, “A Political News and Debating Website for Stoke-on-Trent.” Stoke-on-Trent is a city in Staffordshire, England. In turn it is “the home of the pottery industry in England … commonly known as the Potteries,” and also now “a center for service industries and distribution centres.” See Wikipedia. According to the “Potteries” blog, the six towns of Stoke-on-Trent have a population of 249,000, represented by three Members of Parliament. The blog in turn seems designed to foster an exchange of thoughts and ideas, presumably for the benefit and guidance of those MPs. 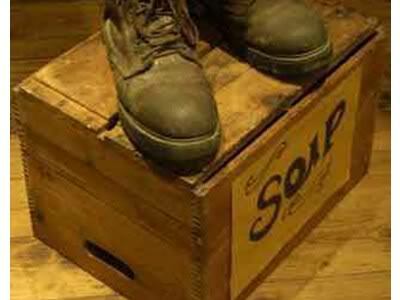 See also Soapbox – Wikipedia. 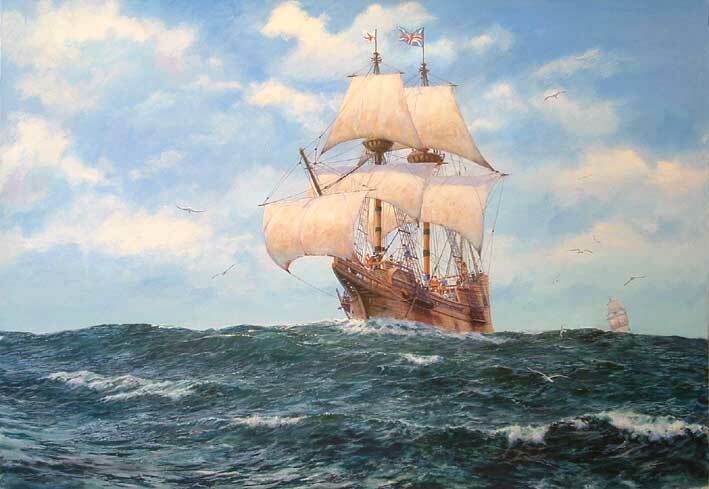 The “Miles Standish” image is courtesy of mayflowerhistory.com/standish-myles. The caption: “17th century image of a man in armor with musket. Myles Standish would have worn similar armor, clothing and used similar weapons to those seen here.” See also Myles Standish – Wikipedia. For more on the upcoming holidays, see also On the 12 Days of Christmas. This entry was posted in Feast Days on November 24, 2015 by dorscribe@aol.com.